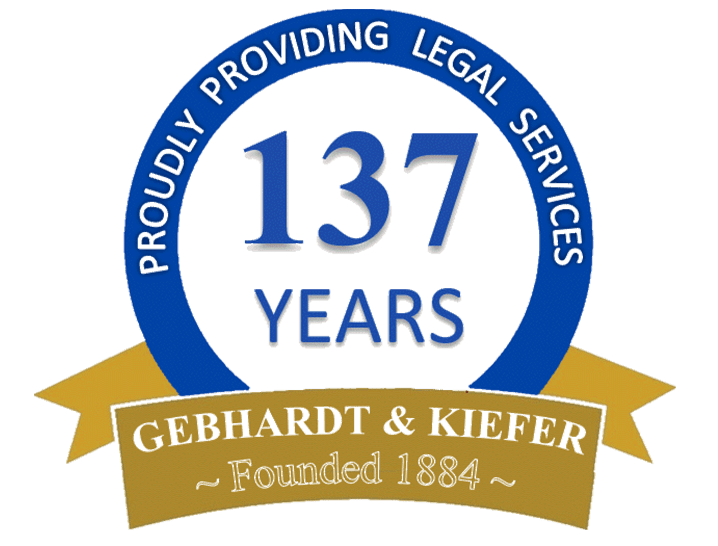 For 135 years, individuals and businesses in central and northwestern New Jersey have entrusted their legal concerns to the lawyers at Gebhardt & Kiefer, P.C. Our firm is built on a legacy of professionalism, expertise, and client-centered service. Personal Injury: If you have suffered an injury caused by the negligence of another party, give us a call. We have extensive experience with personal injury cases. Examples of the types of injury cases our attorneys handle include car accidents; truck accidents; construction accidents; defective or dangerous products; lead paint exposure; dog bite injuries; slip and fall accidents and other premises liability cases; medical malpractice; wrongful death; and civil rights violations such as false arrest, unreasonable force, malicious prosecution, and taking of private property by the public. Family Law: Our lawyers are skilled at handling all types of family law cases, including divorce, division of marital property, alimony, child custody and visitation, child support, child emancipation, civil unions, domestic partnerships, post-divorce modifications to child custody and support, domestic violence proceedings, paternity actions, and prenuptial agreements. Wills, Estates, Trusts & Probate: If you need a will, trust, general or limited power of attorney, living will, or health care power of attorney, we can assist you. We can also help you with estate planning, business succession planning, and probate and trust administration, as well as elder law services such as Medicaid planning. In addition, we can assist you in having a guardian appointed for someone who is elderly, developmentally disabled or has special needs. Employment Law: We assist both employees and employers with many types of employment-related issues, including wrongful termination, employment contracts, sexual harassment, workplace discrimination, employee handbooks and policies, non-compete agreements, severance agreements, and non-solicitation agreements. Our attorneys also offer training seminars addressing ethics law and the prevention of sexual harassment and employment discrimination in the workplace. Business & Corporate Law: If you need assistance with business formations, purchases, sales, mergers & acquisitions, restructuring, governance, and dissolution, as well as any type of business contract, we can help. In addition, our lawyers handle commercial litigation and a wide variety of complex insurance matters including professional malpractice, general liability and insurance coverage matters, particularly disputes between carriers. Income Tax Planning & Income Tax Controversy: If you need sophisticated income tax planning services for yourself or your business, or an attorney with the experience necessary to advise and respond on your behalf during an IRS audit, we can help. Workers’ Compensation: If you’ve suffered an on-the-job injury in New Jersey, give us a call. Our workers' compensation attorneys have successfully helped hundreds of injured workers in central and northwestern New Jersey recover weekly benefit checks, compensation for medical care, and lump sum payments for any percentage of permanent disability that remains after reaching maximum medical improvement. Real Estate: We can assist you with commercial or residential real estate transactions, coordination of financing or refinancing, and real estate litigation. Our litigation experience includes land use and zoning disputes, property line disputes, litigation involving underground oil tanks, landlord-tenant disputes, and breach of real estate contract claims. Municipal Court/DWI: If you’re facing a DWI charge, a traffic ticket for speeding or careless driving in New Jersey, pleading guilty can be very costly. Before you do anything, you should discuss your case with an experienced defense attorney. We offer a free initial consultation by phone to discuss the consequences you may face with a guilty plea. Our lawyers aggressively defend clients in municipal courts throughout central and northwestern New Jersey. 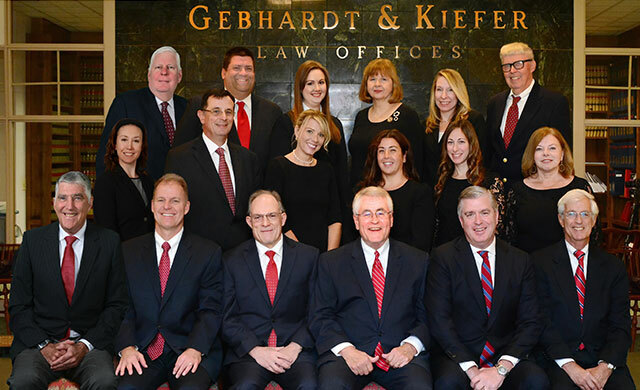 Local Government Representation: Gebhardt and Kiefer has a long history of representing municipalities, their boards and agencies, municipal utilities authorities, counties, school boards, and other public entities as either General Counsel or special counsel. Contact our law firm by e-mail or phone (908-735-5161) to schedule your initial consultation.